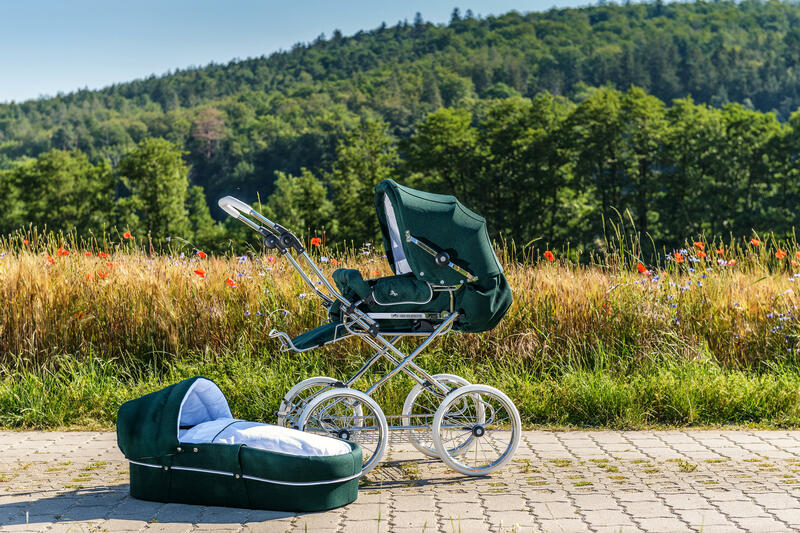 • The model Corrado only folds completely with pram attachment when the canopy is not pointed towards the push handle side since the push handle cannot be pushed past the clamping brackets of the canopy. Always fold the push handle down when folding the pram. 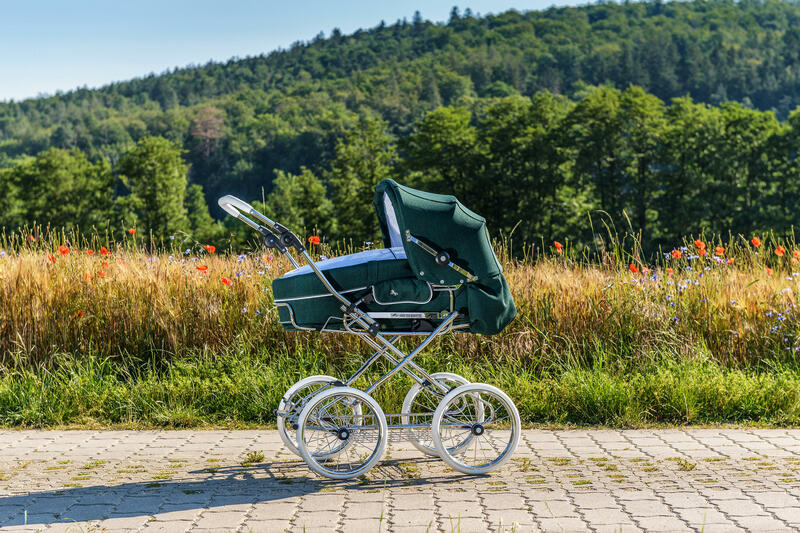 • When using the Corrado as a pushchair, the canopy has to be moved backwards by at least 3 cm, as otherwise the backrest cannot be positioned upwards. For this open the side star-grip nuts and move the canopy backwards on each side evenly. Secure the nuts by retightening them.